A clinic is a short event (one or two days) which objective is to improve skills into a determined discipline. What is the «Modeller’s Clinic»? It consists on a modeller’s meeting, who meet to practise their hobby. In the «Clinic» there will be renamed modeller’s, who will act as monitors. Showing and sharing their techniques. This not a time-limited speech, however we will be working all the weekend. Assistants and monitors will be making models face to face, sharing the same working tables, solving questions, experiment new techniques. The aim is to improve and learn more about this hobby. Within each category, according to the number of assistants, the tables will be organised counting at least with one or more monitors. 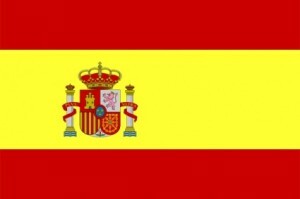 The Clinic will take place in the dependencies of the Hotel NH Almería. The assistants could count on a special price for the reservations in this hotel. To participate, you must do the online inscription previously. Participants will choose the category that he wants to participate and will place in the corresponding table. If you are interested, do the pre-inscription right now with no compromise. Indicate your category and you can also suggest themes such as aero graphics, assembly, scrach or others. All pre-inscriptions will be welcome, in order to make a better event for you. 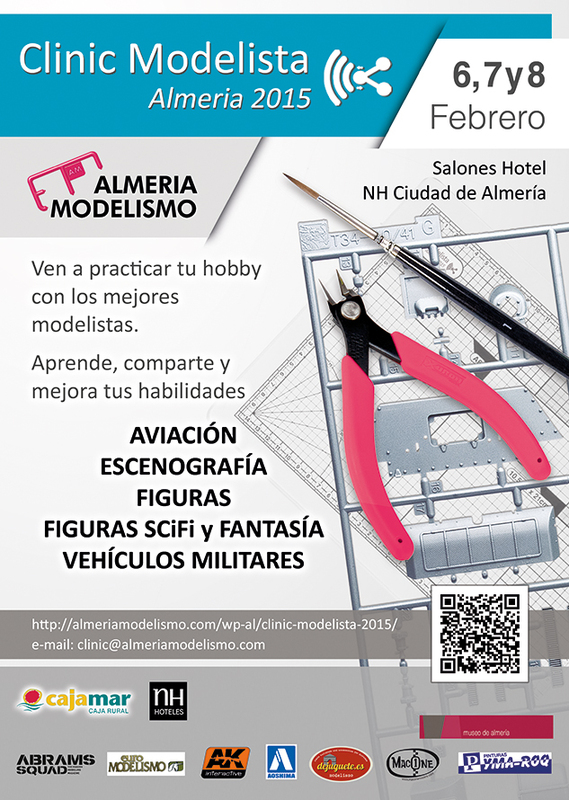 The price of the inscription which will allow yourself to participate in the Modeller’s Clinic all the weekend will be 25,00 € per modeller. Friday: from 17:00 h. to 20:30 h. Note: to install at your table, place your stuff and start modelling, painting, etc. Saturday: from 10:00 h. to 14:00 h. and 16:30 to 21:00 h.
Sunday: from 10:00 h. to 14:00 h. Tiding and closing. Every modeller will bring the models, paintings and tools under their election. Get ready for an unforgettable modellers weekend. Photography table: Where we will take pictures of every kit. Inter exchange table: to buy, sell, inter exchange models among modellers. Exposition table: where both monitors and assistants finished kits will be exposed. Vignette draw. It will be a 1/48 scale assembled by the «Almería Modelismo» members, painted by Joaquín García Gázquez, and figures by Roberto Ramirez. When you are formally inscribed, we will give you a number for the draw. No additional cost, only for your inscription in the clinic, you participate in the draw.